It all started when I read somewhere that children can learn to sign before they can even speak. I am a very hands-on person, and speaking with your hands really appealed to me. So, I enrolled in a New Zealand Sign Language (NZSL) class at a local night school. Between the classes I would teach various signs I had learnt to my younger siblings (then aged 5 and 8). We had a lot of fun making up our own personal sign names, asking family members what they would like to drink, and finger spelling words. “Cold”. This is a shivering action. Grace Ariana, our family’s youngest was 5 months old when I started regularly using some signs. When she was about 9 months she began (with much encouragement and help) to make a few signs herself. Her first sign was “Hello”, followed by a simplified version of “Please”, and a bit later she also started signing “Down”, “Food”, “Thirsty” and eventually “Bath”, and “More”. pursed lips while she points to her mouth. However, she was just learning to co-ordinate her hands and there were a few words that she simply couldn’t sign correctly. She got around this by making up her own version of the sign! Sometimes these adjusted signs were very recognisable, other times Grace’s first attempts at more complicated signs needed quite a bit of deciphering! 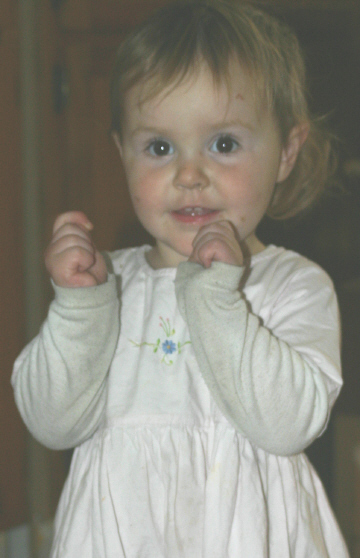 For example: A little while before Grace turned 12 months, she started occasionally shaking her fist in the air at us. For a few days I didn’t know why she was doing this, and I couldn’t figure out what she was trying to say. After a while though, I realised I had recently started signing “good night” as I said it whenever she went for a sleep – and it was about then she started to mysteriously shake her fist at me! She was just making up her own simplified version of the sign! and turned to discover it right behind her! A recent addition to Gracie’s signing vocabulary is the word “Sorry”. It’s amazing how pleasing this little sign can be after she has discovered she can reach the flour, or has drawn on someone’s special notebook instead of the colouring book! the same whether it be food, games, fun or books. There are some signs that I use quite often with the older children, which Grace has not yet tried to use, things like “Sit up”, “Stop talking”, numbers and letters, etc. Others words like “Ice Cream” and “Milo” she has now learnt to say and I’m not sure that she will learn the sign. “Please?” How can we refuse? The short answer is “Of course not!” but that will probably not satisfy well-meaning relatives, so here is some of what an experienced signing mother, Monica Beyer, has to say about dealing with criticism. A little further in the article is this Crawling vs. Signing analogy which is spot on! To see Monica’s article in full visit her website www.signingbaby.com and look on the “Speech Delay Myth?” page. 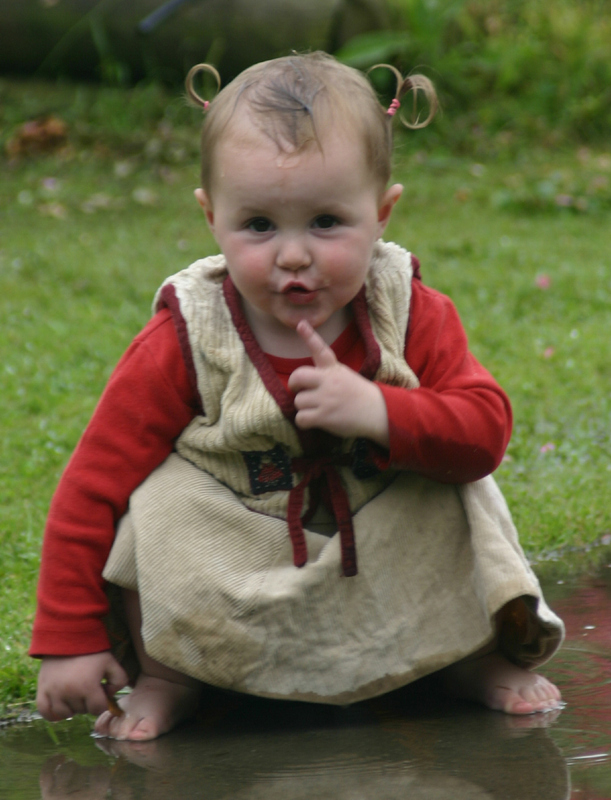 While you’re there, have a look around the site and you’ll find interesting articles, getting started guidelines, and a great photo dictionary full of babies and young children using basic American Sign Language! 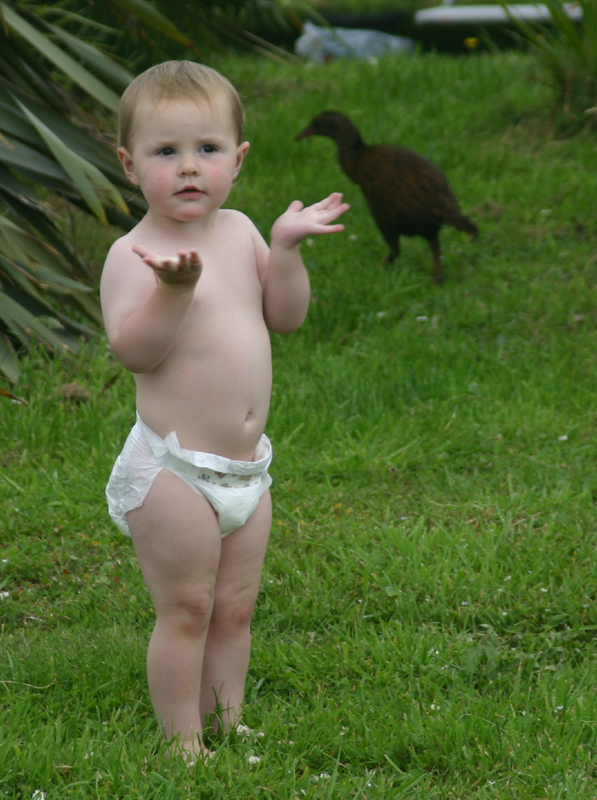 I could not find much information on teaching NZ Sign Language to babies. 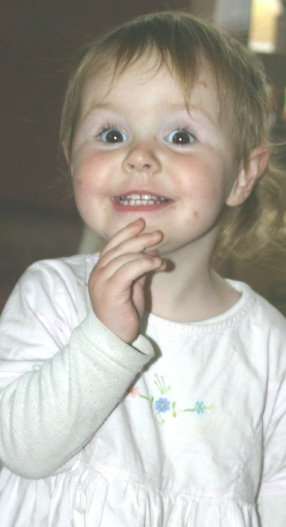 The best was www.baby-talk.co.nz. 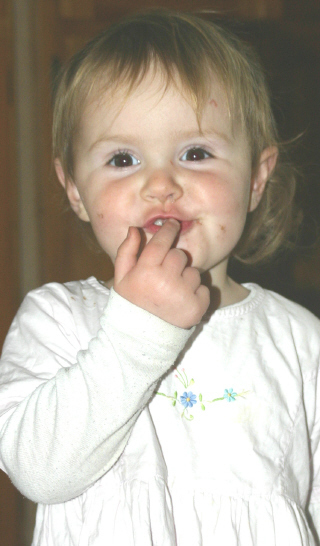 About 80% of their signs are identical to NZSL signs (some signs have been simplified) However, the website doesn’t give out much information for free, so unless your local library has a copy of their book Baby Sign Language, (or you buy a copy for yourself) you may find other sites more helpful. 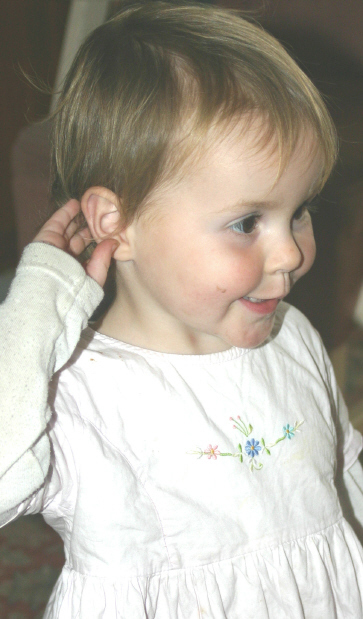 So… Whether it is ASL or NZSL being used (or a group of signs made up between parent and child), the fun, the smiles, the admiration, the surprises, the all-round benefits that come from being able to communicate with even very young children make it well worth the effort of including some sign language into your everyday life with your baby. during family devotions, when the phone rings or at church. Here she wants us to be quiet so we don’t scare the worms away. Love the post! I have experience teaching sign to older kids, (grades 2-5) but I know that the younger ones benefit just as much if not more from it.